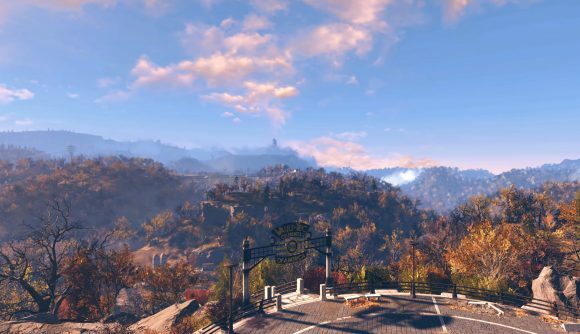 If you’re wondering about getting your bearings in Fallout 76’s version of West Virginia, fret not – Bethesda has revealed the full in-game world map, and even though it’s largely unlabled, it’s still possible to identify a few of the game’s key locations. What’s most notable right away is that this map is printed and in full color, unlike the monochromatic PipBoy maps we’ve seen in previous Fallout games. It’s festooned with cheery Vault-Boy branding, which indicates it was made for America’s tricentennial celebration in 2076. Players will begin their journey at Vault 76, which you can see in the upper left-hand quadrant of the map, at the eastern end of Route 90. Nearby are icons for a couple residences, and the Mothman Museum is to the west on the bank of a river, on Route 81. 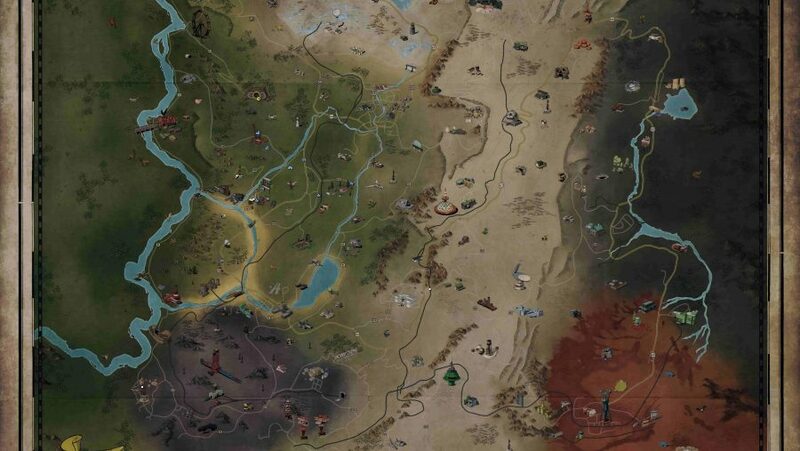 Jordan has assembled a list of Fallout 76 locations, and it’s possible to identify many of these places on the map: Uncanny Caverns is in the south, on the edge of a dark zone dominated by a large icon for what looks like a coal excavator. The state house is visible just to the northwest, and continuing west on Route 85 from there leads you to the Nuka-Cola bottling plant. But many of the icons are just plain puzzling. In the dark area on the eastern side of the map, there’s an icon that just looks like a big scary hole in the ground. And southwest of that, there’s an area where apparently there are bees. Gamespot published the map this week, and as they note, it’s the one you’ll be seeing in the game when you look for directions. Presumably, place names will populate on it as you explore the world of post-apocalypse West Virginia. Fallout 76 launches November 14. Unlike previous titles, it’s an online experience. If you play in the pre-order beta, your progress will carry over when it flips to the full launch version.